Preheat oven to 325. Whisk honey and oil in the bottle of a medium bowl. 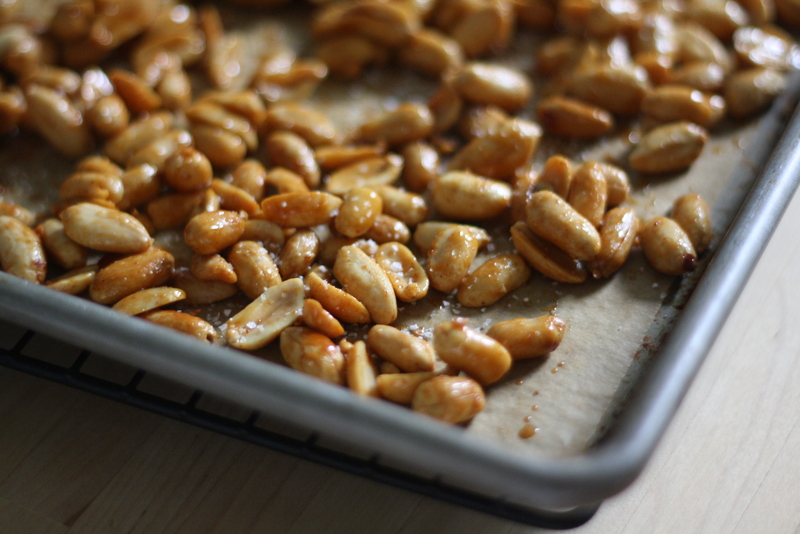 Add salt and cayenne, toss peanuts to combine. Spread on a baking sheet lined with parchment, and bake about 20-30 minutes until nice and toasty. 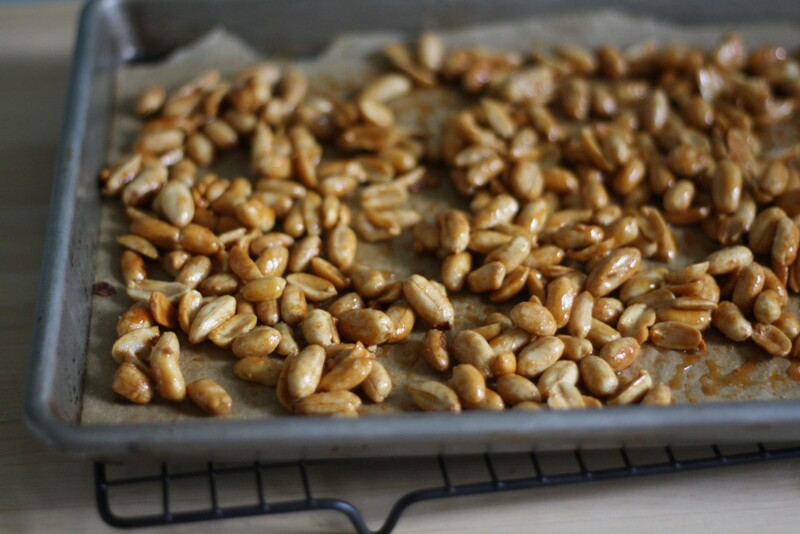 They will be hot and you will want to eat them all, but let them cool. You will be thankful you waited when you are enjoying them as a cocktail snack. Cut ginger into large chunks, and process in a blender until coarsely chopped. In a large pot, over medium high heat, combine with sugar and water and simmer until mixture has reduced by half. Strain mixture through fine sieve, squeeze in the juice from one lemon, and let cool completely. 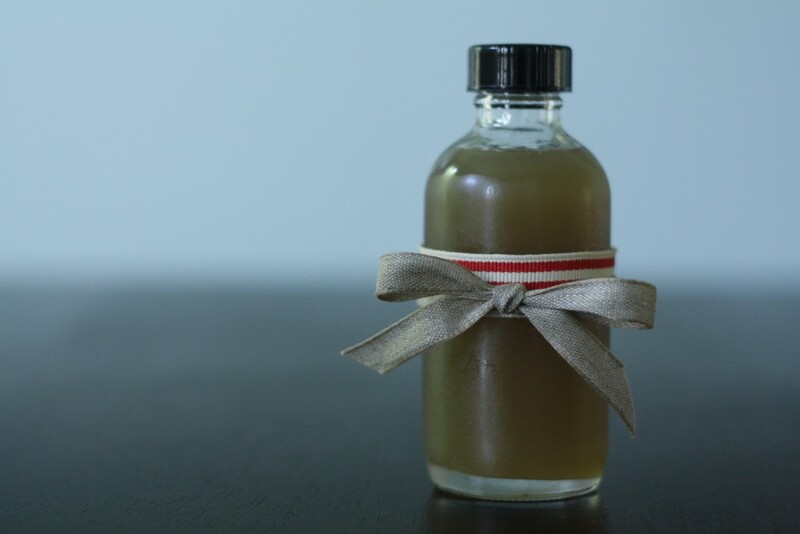 Pour into a tiny bottle for easy cocktail mixing.